Booksparks has blown me away, yet again, with a gigantic stack of beautiful books to try my best to work my way through. This time it's Magic of Memoir 3.0...so all nonfiction memoirs, which is a nice departure from what I've been reading recently. This first book I grabbed felt SO relevant to my life and the lives of so many people I know at the moment. I honestly don't think it's possible to not have your life touched by Cancer, but I have too many people I love recently diagnosed to not feel that this book arrived on my doorstep for a reason. 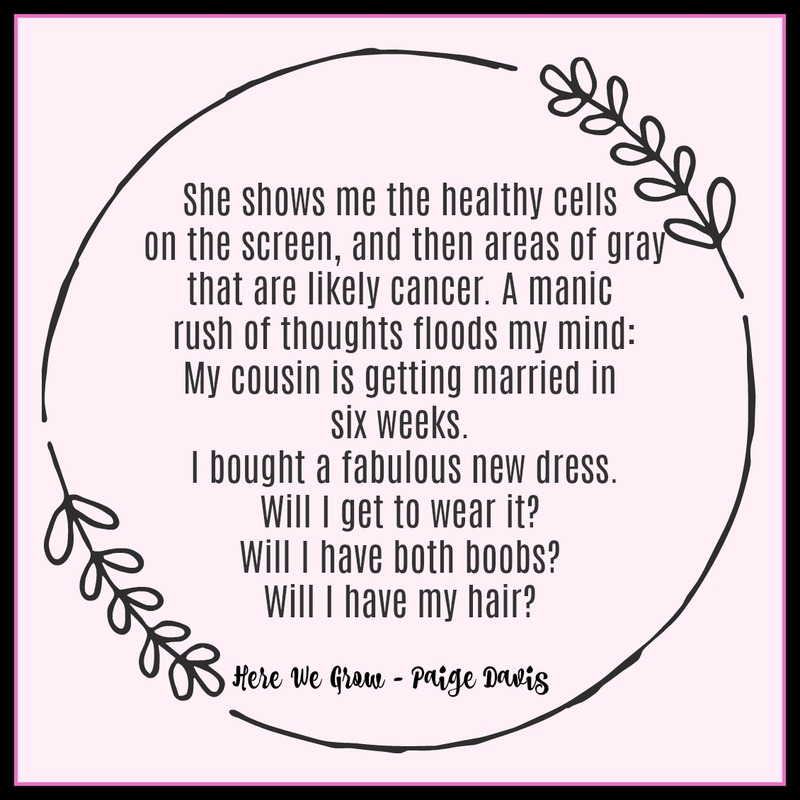 Here We Grow: Mindfulness Through Cancer and Beyond by Paige Davis tells the author's story of her diagnosis of breast cancer at the age of 38, and how she chose not to do battle per se but to embrace the experience with love and mindfulness. She is aware that to some it will sound a little too woo-woo, and it was refreshing to have an author come out and say that some may think her ways are a little too kooky for the average joe, but I think there's something to be taken from this book no matter where you land on the woo spectrum. First off, I have to say that for a memoir, this book is extremely well written. 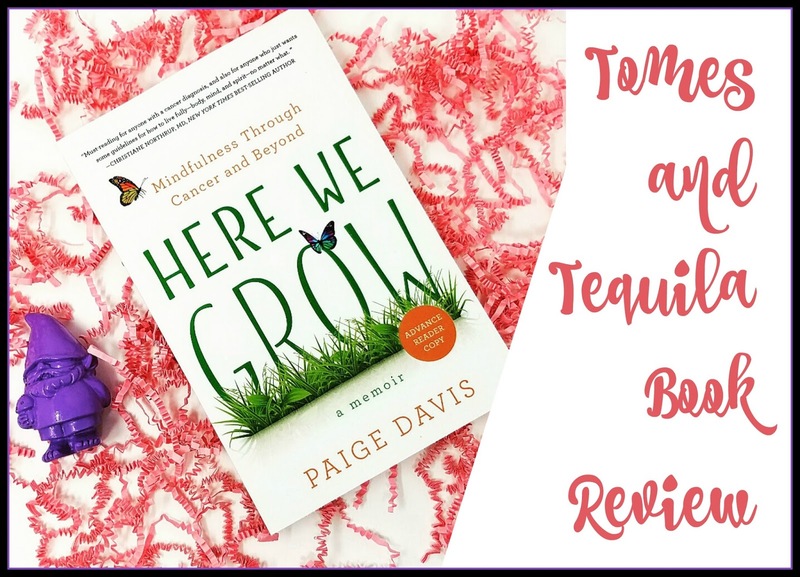 Actually, I need to take that "for a memoir" out of it, and just say...for a nonfiction book, Here We Grow is very well-written, easy to read, and compelling enough to keep me reading the entire thing in one sitting. That is a pretty rare thing in nonfiction, and although it could be a case of the right book at the right time, I would read other things by the author...and I'm no meditation/yoga/mindfulness junkie or anything. Davis writes in a way that makes you feel like you're one of her friends, and yet it's not so casual that you feel like you're reading her diary entries. 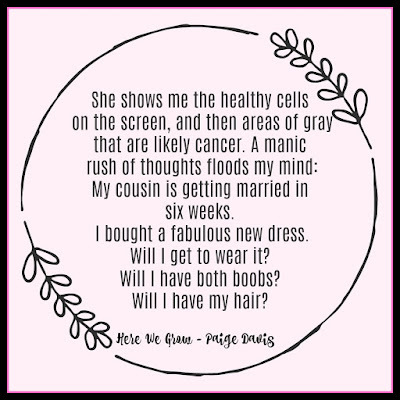 As a very fit and health conscious woman, Davis is initially thrown by her cancer diagnosis...as is everyone in her position, I'm sure. But almost immediately she decides she wants to take all negativity associated with the cancer away. 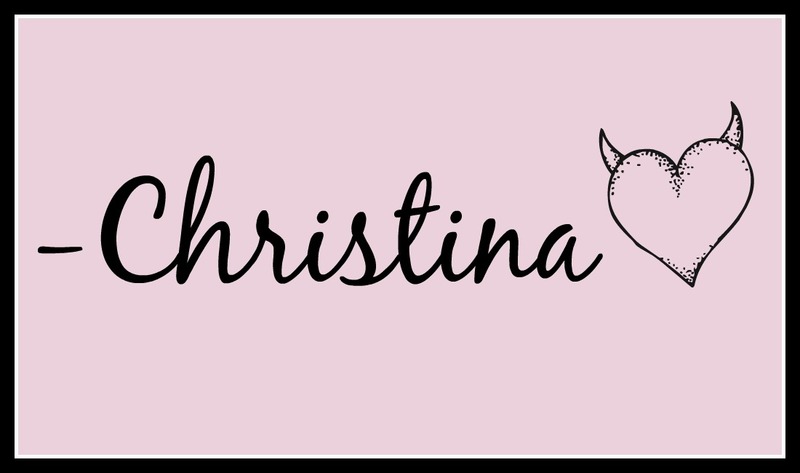 She comes up with a care plan instead of a battle plan...tells her family she doesn't want to hear anyone speak negatively or talk about "doing battle", which is a VERY common term...as I struggled to not write "A woman battling breast cancer" when typing up this review. And really, I can see where she's coming from. I had a conversation with my husband recently in regards to a family member being diagnosed, and how it must feel to be surrounded by 100+ people who are all stressed, angry and although they have the best of intentions, filling you with more dread than you already have. My husband actually said he wasn't sure he'd want to tell anyone, because in his eyes that would make it even harder to process and keep your own head on straight. I think the compromise would be to deal with it how Davis did. I loved every minute of reading how the author dealt with her diagnosis and treatment. She was surrounded by a caring family and wonderful friends, with treatment at M.D. Anderson...one of the best cancer treatment facilities around (and one that a family member of mine is currently being treated at). She had the help of a mindfulness guru to come up with meditations for each major surgery and chemo, which she felt helped to keep her head in a good place and the energy around everything where she wanted it to be. She was able to put the right foods in her body to promote healing. And was healthy enough before the diagnosis to come out the other end with a body in a good place to build itself back up again. Might it be a little too woo-woo for a lot of people either going through cancer, or with family and friends dealing with a cancer diagnosis? Perhaps. But even if it just gives you a different perspective and way of thinking about things...or one little tip you hadn't thought of...in my mind it's worth the read. I'm okay with a little woo in my life. And there's not a big difference in my mind between a beautiful well-written healing visualization, and a healing prayer asking for God to be with your surgeon, etc. You take the information given to you, swirl it around with what is important in your life, and make it your own. Fabulous memoir. I immediately followed the author everywhere, and had to see how she was doing now since her diagnosis was a few years back. Incredibly nice lady folks, and I can't thank Booksparks and the author enough for sending this book my way. The publication date is set for May 22, 2018 and it's available for pre-order through Amazon and other retailers. If you visit the author's website here you can actually read an excerpt of the first couple chapters, if you're curious. I'd love to hear if anyone else has book recommendations dealing with Cancer. If you have any, please leave them in the comments section below. *Affiliate links are used on the blog. I will receive a small commission, at no cost to you, if you purchase. 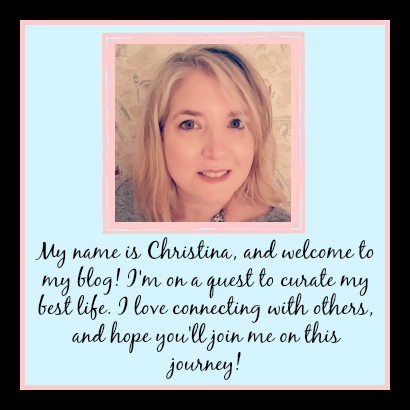 Thanks for supporting the blog!